Dating from just before the English Civil War, a historic letter sent “hast post hast” in 1640 to Sir George Chudleigh, Deputy Lieutenant of the County (lot 220) rose strongly in bidding to £5,894. Showing on its reverse a fine strike of the “WELLS/X”, one of just two known examples of this very rare Cross Post marking, a 1709 entire from Croscombe to Plymouth (lot 228) soared to £3,316. 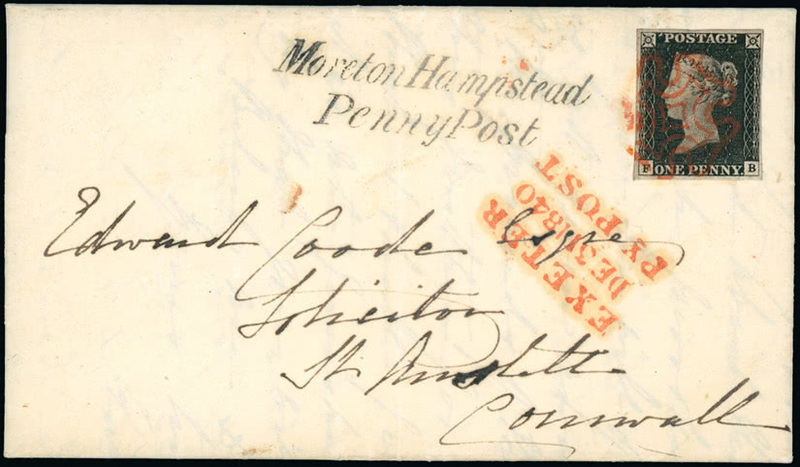 Both displaying attractive strikes of the two line “Moreton Hampstead Penny Post” marking and red three line “EXETER PY POST” datestamp, but franked by the 1840 1d. black and 2d. blue respectively, an 1840 entire to St. Austell (lot 168) and 1841 entire to Exeter (lot 177) were further connected by the £2,824 realisation they each achieved. A fine section of Barred Numeral cancellations, also from the Ron Hake collection, attracted significant interest. 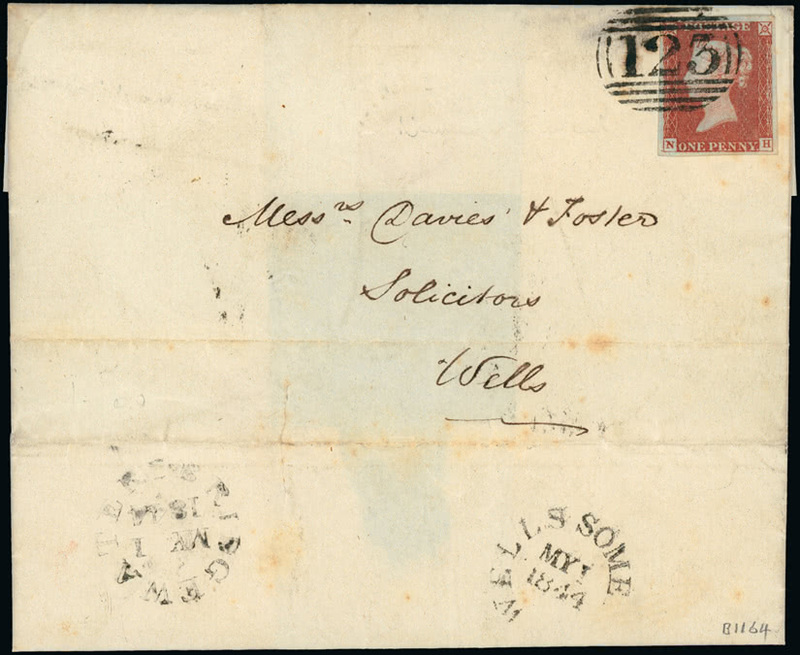 Sent on May 1st 1844, the first day of use of this cancellation, an entire from Bridgwater to Wells franked 1d. 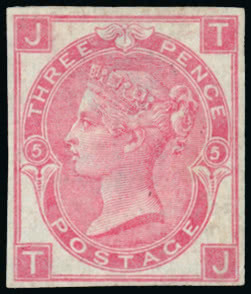 red-brown cancelled by the “123” barred numeral (lot 309), deservedly rose to £2,088. Other notable prices in this auction included the £5,894 paid for the ever-popular 1840 VR 1d. (lot 406) whilst a fine example of the 1d. 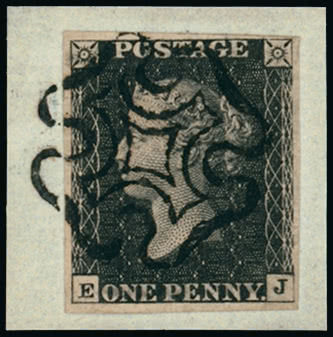 black from Plate 11 used on piece (lot 394) climbed to £3,070. Among an interesting offering of Surface Printed issues, £4,666 was reached for the imperforate 1867-80 Watermark Spray 3d. 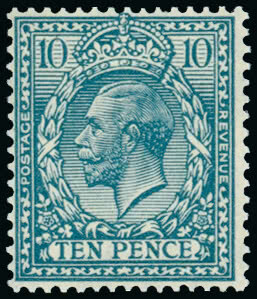 rose (lot 562) whilst the King George V section of the sale included a fine unmounted mint example of the 1924-26 Watermark Block Cypher 10d. 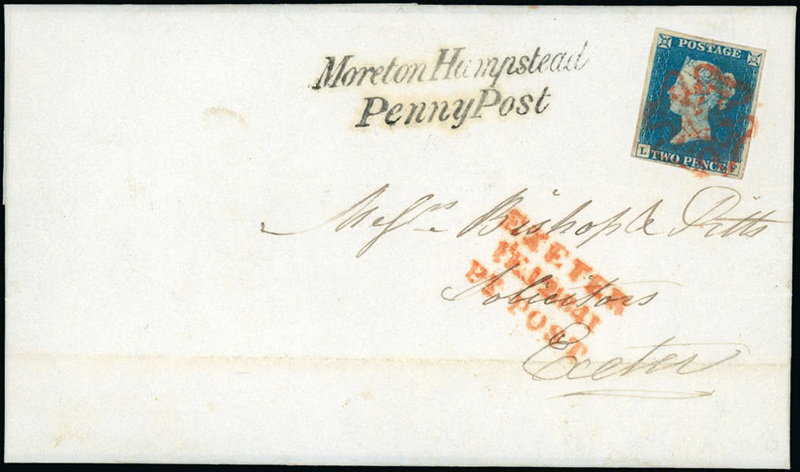 with watermark inverted (lot 735) that made £2,272. 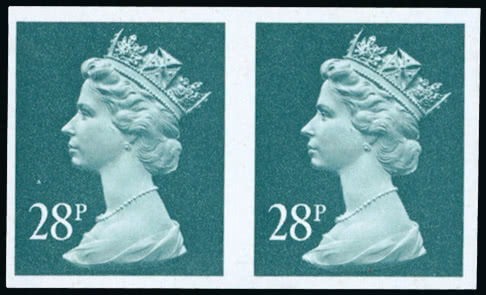 A more limited offering of Queen Elizabeth II material included imperforate pairs of the 1984 Christmas 17p. 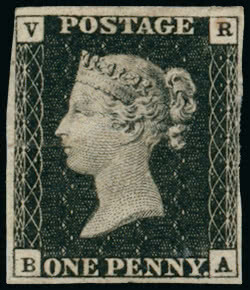 (lot 858) that sold for £3,713 and the Machin 28p. deep bluish grey ACP/PVAD (lot 869) that realised £1,666. This auction of over 900 lots brought to the market the various properties of 134 different vendors and the sale total of £406,734 well exceeded expectations, confirming an underlying strength in the Great Britain market and prospects of further growth in county postal history.